I am conducting unofficial theatre research now that I have graduated. How does one street perform? How does one organize a tour? How many different locations may one perform an easily transportable puppet show? I want to spread my joy at being alive! I will expand this in the section below with the philosophy behind my journey. I am on a soul-seeking mission. My dad has had a huge influence on me in this department. I am interested in finding the TRUTH and the veins of truth between all people that are the same. I want to go on a healing journey after a rather large change in relationship. I have had wanderlust for some time. I want to try out the gypsy lifestyle since the underscoring to my life is accordion music anyhow. Into the Wild is an interesting book that is the story of Chris McCandless and his journey to find ultimate truth in the wilds of Alaska. The idea of being all alone in nature seems very appealing to me, but I want to take his experiences and use them as the foundation on which I build to keep discovering a greater truth. After all of his experiences, the thing that sticks out the most in my mind is the statement, “Happiness only real when shared.” I still believe in LOVE after everything that I have been through, and although I recognize that my life is not incredibly significant, I feel the need to share my happiness and joy with everyone that I possibly can. 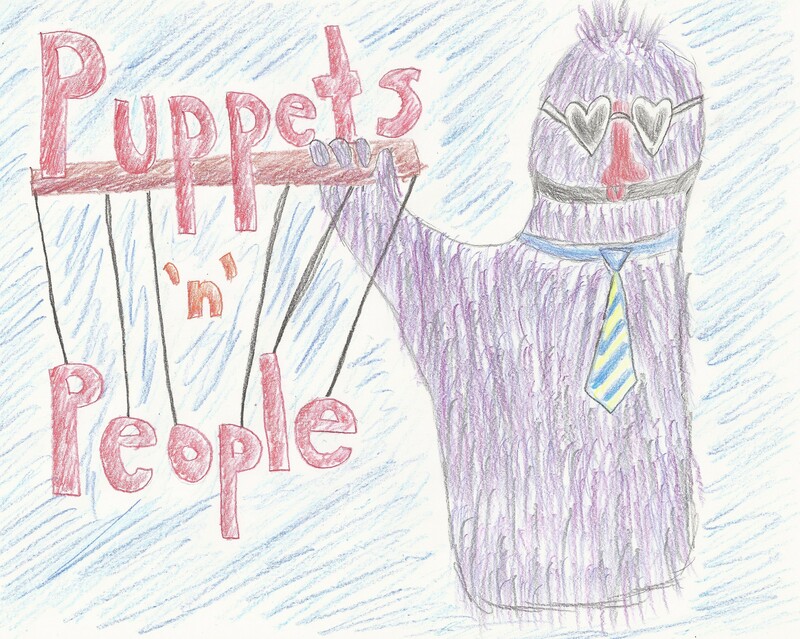 To put the primary idea of my journey into simple terms, I want to share my joy of being alive with everyone that I possibly can by performing this puppet show. This means, however, that the important part of this journey is not necessarily the puppet show, on which I am working hard. Instead, I want to focus on what occurs after the performance. I am building in audience interaction so that people who are watching the show may share a bit of themselves if they would like. I am going to take pictures with anyone who wants to and post them on here, so that we can share the little moment of joy that passes between us with whoever in the world is watching. This is what I want to share with you: everyone’s stories and their joys! In a way, then, I believe that I too am going into the wild. However, unlike the Romantic ideal of solitude in nature that Christopher McCandless experienced. I am going into the wild of human nature. I have a recognition that people are not always nice, yet I still believe that at their heart people primarily act for good and are good. Furthermore, after I have interned with EngageU, I have learned two important things. “I don’t want to make art. I want to be happy!” Also, I want to teach myself outside of college by launching and learning as I go. My own philosophical wanderings of the mind after travelling consistently on a bus and meeting people. These may be filled with cliches or insight. I will not pretend to be incredibly deep, but I want to talk and share, so I will. Stories of people and myself: people’s own joys and my joys and struggles as I figure out how to perform and make things work.